How do reminders & compliance feature work? Step 1. Go to course settings and specify a specific date or time by which learners must complete the course. Step 2. Set the days before which learners will be sent automatic reminders of the course completion due date. Step 1. 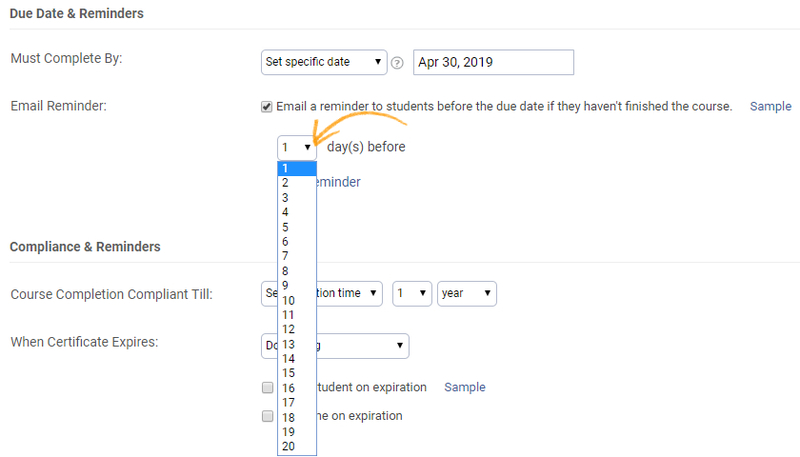 Specify a particular date or time, when the course certificate expires. Step 2. Move courses to pending so that learners will be sent automated reminders of certificate expiration.